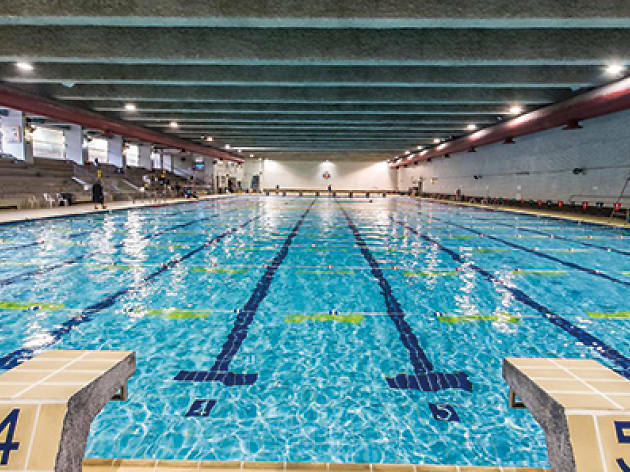 For the serious swimmer, the SCAA’s pools are about as good as they get. 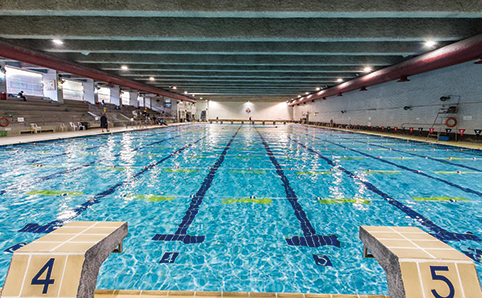 There’s a 50m indoor swimming pool, plus a 25m indoor training pool and an outdoor diving pool. The water’s a good temperature and it never gets too crowded. You need to be a member, which costs $120 per year, then each session is $22. There are also courses, and a water polo team if you’re feeling competitive. 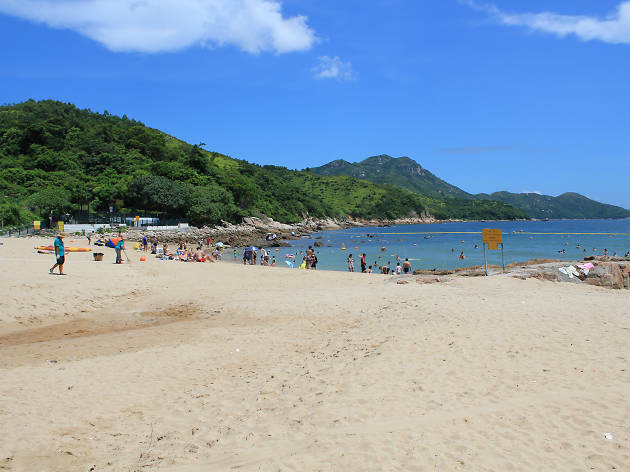 Considered to be one of Hong Kong’s most beautiful beaches, Tai Long Wan (or Big Wave Bay – not to be confused with its namesakes on Hong Kong Island and Lamma) is on the east coast of the Sai Kung peninsula. 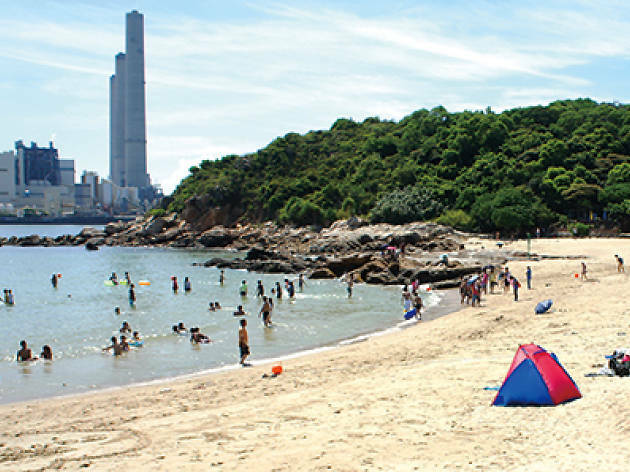 Often a place for camping and day trips, it’s at least a 90-minute hike from the nearest road, though in the summer you have the option to take a small boat from Sai Kung pier. The water is clear, the sand is white and close by there is a small restaurant for supplies. There are no lifeguards stationed at the beach and the sea can be rough at times, making it a magnet for surfers. 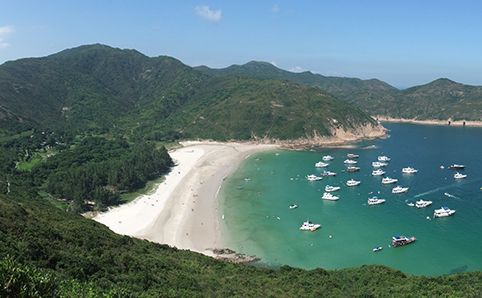 Slightly easier to get to and arguably more beautiful is Long Ke Wan beach. 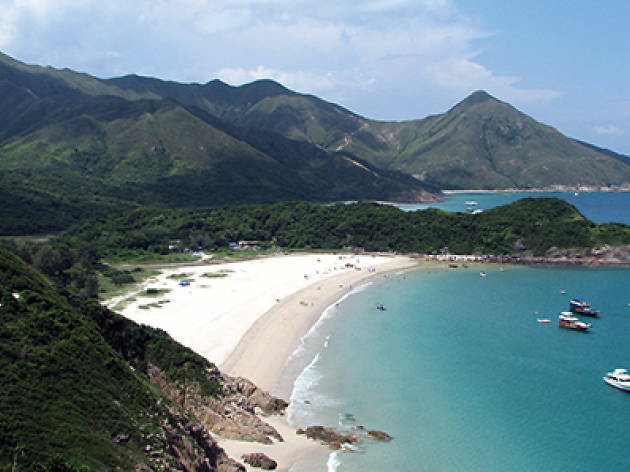 Located just east of Sai Kung, it sits at the end of the first section of the MacLehose trail. 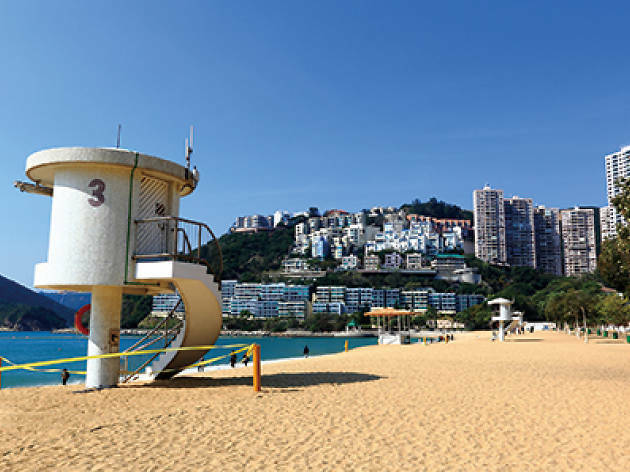 There are no restaurants, so you have to bring your own food and water, and no lifeguards either, but the bay is a little more sheltered than Tai Long Wan. 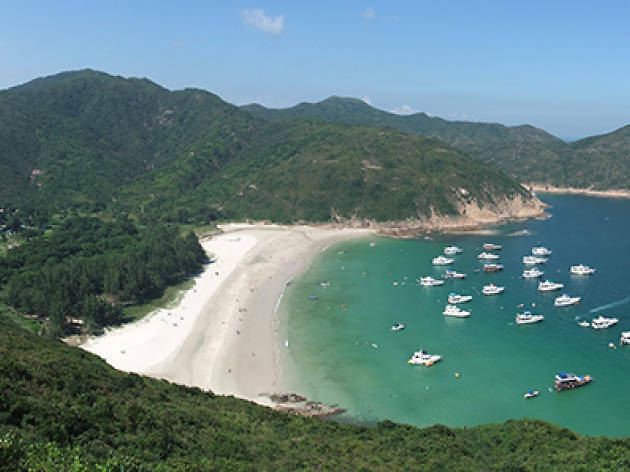 To get here you can take a taxi directly from Sai Kung, or hike the first 11km of the MacLehose trail. 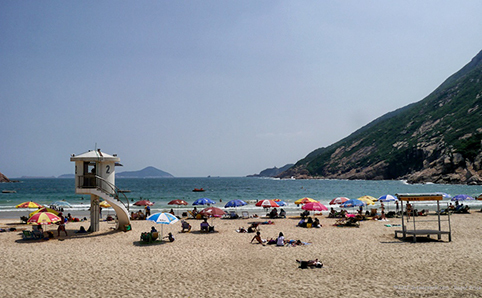 For those travelling from Central, the Repulse Bay beach is within easy reach and has decent water quality. It’s popular with both locals and tourists and is great for strolls in the early morning, daytime sun soaking, or enjoying a sundowner. There are lifeguards on hand and a range of great restaurants housed in the new beachside centre, The Pulse. To get there, take bus 6, 6A, 6X, 66 or 260 from Exchange Square bus terminus. Located between Repulse Bay and Stanley, Chung Hom Kok beach is an inlet that remains fairly unknown. 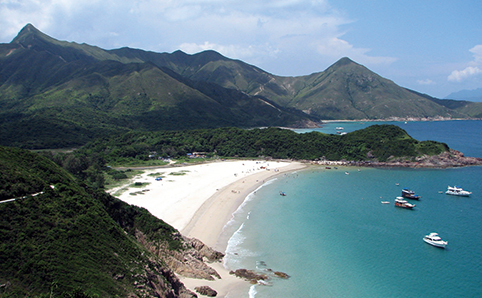 Surrounded by vegetation, it can’t be seen from the road, which is why it’s one of the quieter beaches on HK island. 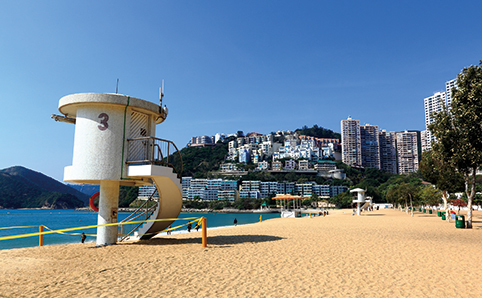 There are lifeguards and changing facilities, plus a kiosk for food and Barbeque pits. 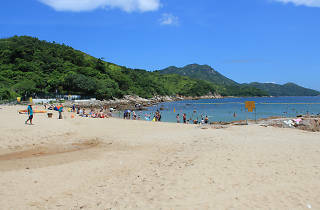 To get here take minibus 40 from Causeway Bay (Tang Lung Street), or Bus 65 on weekends, and get off at Chung Hum Kok beach. For those with kids, a swimming pool can often be an easier option. 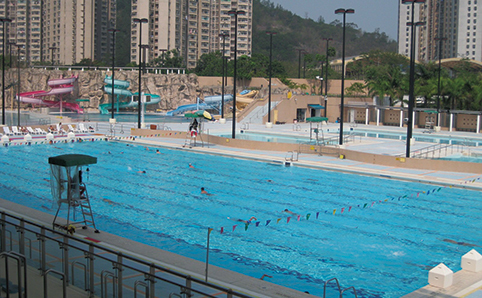 For those in Sai Kung this child-friendly complex includes a 50m main pool, teaching pool, and a leisure pool with water games and slides. The pool is open from April to October. 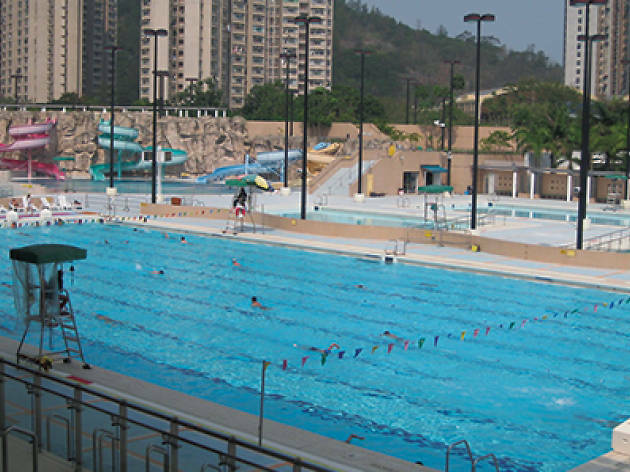 On the north side of Kowloon Park this site includes three outdoor leisure pools, two indoor training pools, a diving pool and a main pool, so there’s something for everyone. 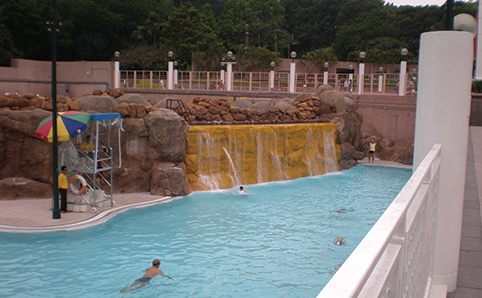 The outdoor pools open from April to October. 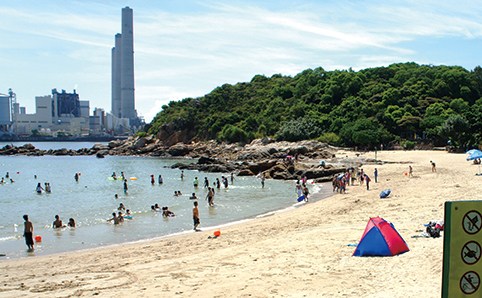 Hung Shing Yeh beach’s relatively clean water and powdery sand have been attracting expats and locals for years. It’s also a highly contested spot to spend yet another laid-back evening on the sand by throwing a party in the barbecue area. There are lifeguards on this beach and changing rooms and showers. From the Yung Shue Wan Pier turn right and walk for about 30 minutes to reach the beach. 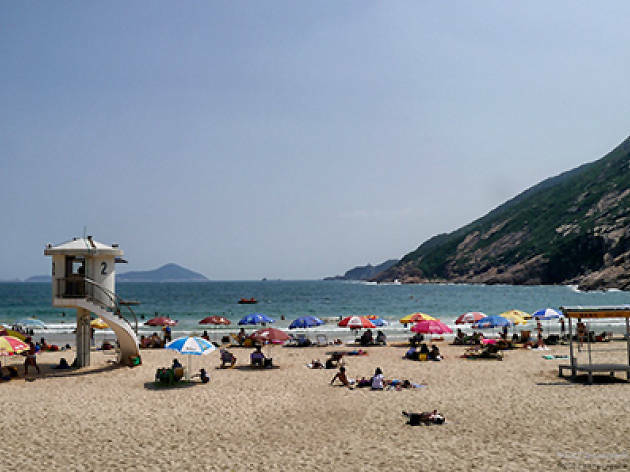 Vast white sands and good facilities mean that Shek O beach can get crowded quickly at the weekends, so get there early to claim your spot. Once in the water though, you can soon find your own space and even swim out to the floating islands to relax. There are a number of great bars to choose from for food and drinks, plus lifeguard services and changing rooms. 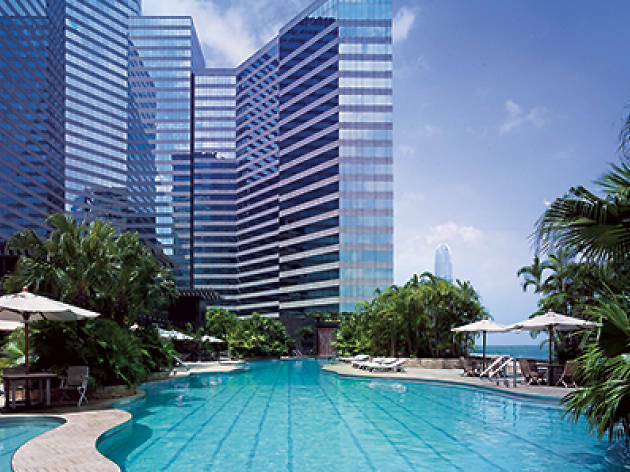 If you don’t fancy slumming it with the general public, you can always choose to go for a swim in the Grand Hyatt’s pool. 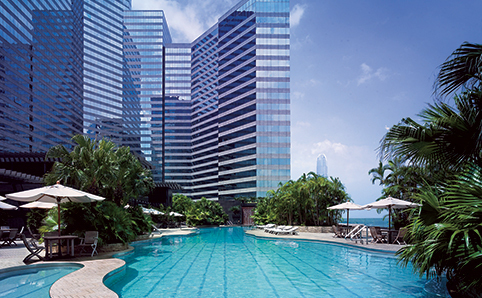 The harbour views and spacious deck at the hotel’s pool make for a relaxing summer’s day away from the masses. 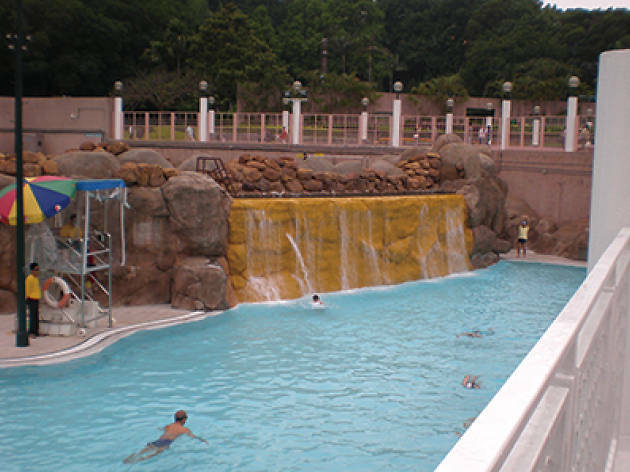 A $550 day pass includes access to the outdoor pools, gym and sauna.